Four years ago, two of Southampton’s regular defenders left the St Mary’s stadium for a greener pasture, as it’s often said, but things haven’t been the same for these players. Luke Shaw featured as left-back while Nathaniel Clyne featured as a right-back for the Saints and both players were just too good and wonderful that many top clubs queued for their signatures in 2014. Southampton’s tricks and plans to stop both players from leaving the St Mary’s stadium were fruitless as they were so determined and obsessed with playing for top clubs in Europe. Luke Shaw went straight to the Theater of Dreams, signed all paperwork and was presented to the Old Trafford faithful as their latest player during the summer window before the start of 2014-15 season. Just like his compatriot, 27-year-old right-back Nathaniel Clyne was running out of patience and couldn’t wait any longer to sign a new contract with any highly-rated club in England or beyond. Luckily, Liverpool came calling for services and he eventually joined the Reds at the same time with his former teammate. Prior to his move to Old Trafford, the 24-year-old was anticipating a brilliant start to life under Luis Van Gaal but that wasn’t the case. He was made to sit on the bench for most of his first season. He didn’t really have many opportunities to lay claim for a place in the starting lineup and injuries further deepened his form. Mourinho’s first season at Old Trafford was one of the toughest time for the England international. The Portuguese manager didn’t rate the former Southampton man at all. The former Chelsea manager always criticized the young defender for his performances whenever he failed to perform up to the expected standard. Having endured three years of hardship, criticisms, loss of form and confidence at Old Trafford, Shaw is finally living in the dream he pictured for himself some years back. Shaw has surprisingly become a player Mourinho can’t do without. His name is now the first in Mourinho’s starting eleven for every match. Out of 16 League matches the club have played this season, the England international has featured in 13 matches. 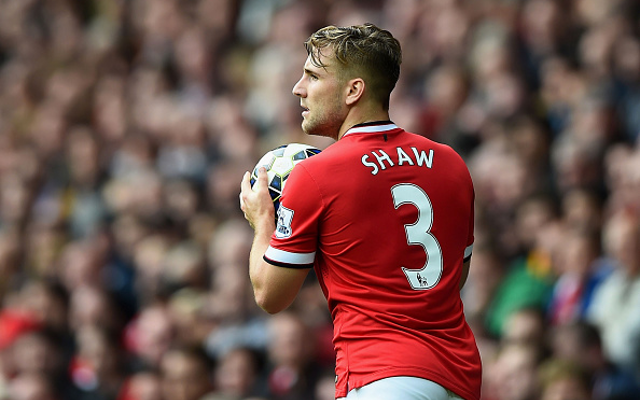 Shaw is definitely having a dream season at Old Trafford, unlike his former Southampton teammate Nathaniel Clyne. Then 23 years of age, Clyne joined the Reds and he didn’t do too much before breaking into Jurgen Klopp’s first team squad. The right-back became one of Klopp’s most trusted defenders after only one year with the Merseyside club. He enjoyed regular game time until when he picked a career-threatening injury which ruled him out of action for some months. Before his return from injury, young defender Joe Gomez had taken his place in Klopp’s list of regular players. The 23-year-old has been in fine form and has left Klopp with no option but to leave Clyne permanently on the bench. January might be the end of Clyne’s stay at Anfield as reports claimed that the England star player could be on his way out of Anfield as soon as the winter window reopens. He who laugh last, laugh best. Shaw is currently fulfilling his potentials at Old Trafford after many hardships and lack of trust from fans and manager. Clyne is experiencing the opposite side of life after enjoying much success in his first three seasons at the Anfield stadium.